Access Profiles, Inc.: Are You Still asking for Salary History? Why You should Stop Now! Are You Still asking for Salary History? Why You should Stop Now! Asking an applicant about their Salary History has become a hot topic in employment. Many employers routinely ask their applicant’s what they made at their last job. Sometimes the question is asked during the interview, and other times it listed on the application. 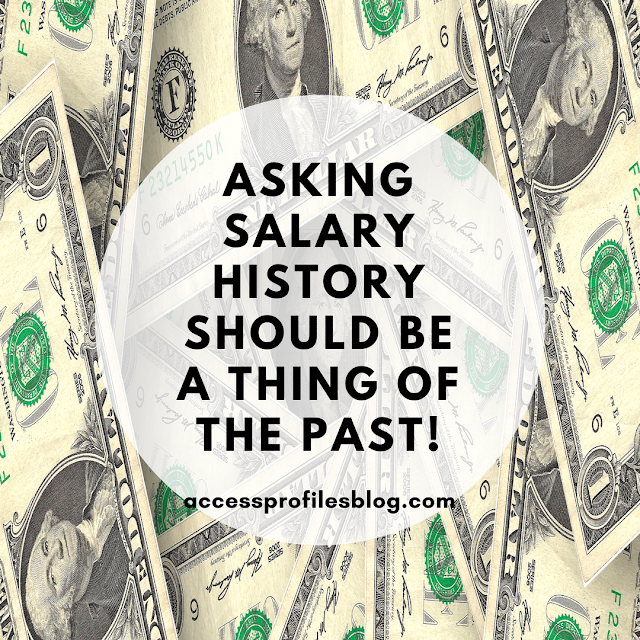 While asking salary history has been common practice, that may soon become a thing of the past. Cities and states across the country have begun passing laws and regulations to stop, or at least curb, the practice of asking for salary history. In New York City, for example, a new law has been enacted that prohibits both public and private companies from questioning an applicant about their salary history. This law also precludes employers from taking an “end run” around the prohibition and contacting former employers or even searching for salary information in public records. 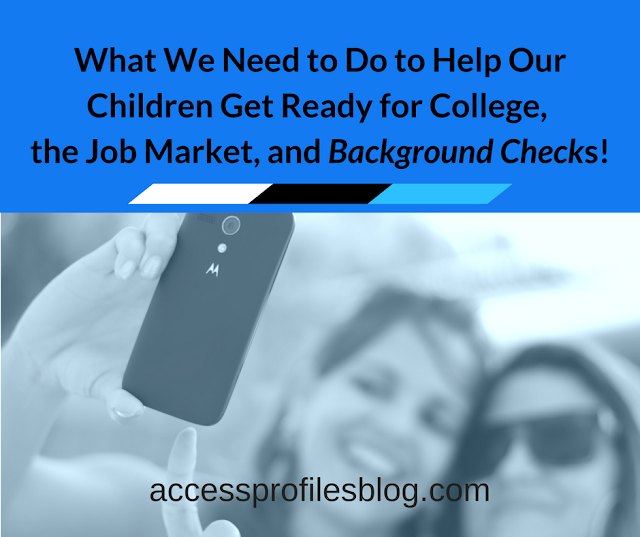 In addition if, during a background check, salary information is found, it cannot be used to determine the the applicant’s salary. If the applicant themselves discloses their salary history. If the salary is determined through collective bargaining agreements. If an existing federal, state, county, or local law authorizes salary history disclosure or verification. If the individual is a current employee being considered for a promotion or transfer. New York City isn’t the only one taking a look at the salary history question. Many states have either already enacted or are considering passing laws that address asking about salary history. Does asking for Salary History perpetuate wage bias? Supporters of these laws argue that asking for salary history perpetuates the wage gap. They believe that by enacting laws to stop this practice, employers cannot use past salary as a way to continue to “lowball” the salaries of women and minorities. Because of these trends, confusion about whether employers can or should ask for salary history abounds. A recent question on quora.com got me thinking about where I stand on the practice. 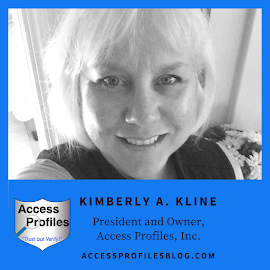 “If you were given an offer but had to go through background checks and complete an employment history verification and it asks for salary history, is it okay to leave that field blank?”. 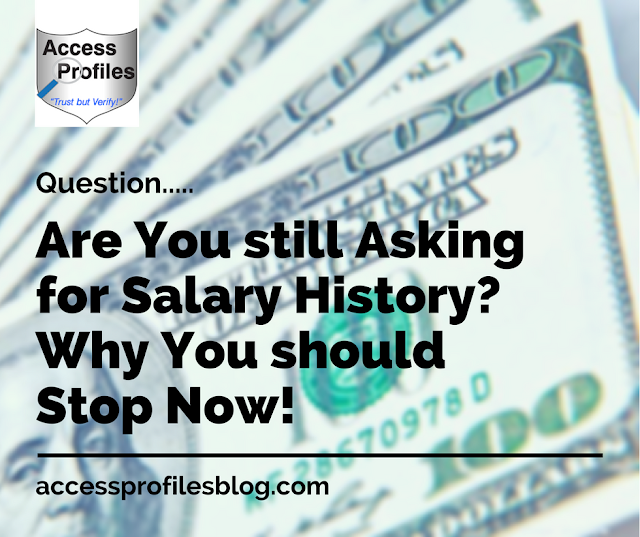 “It is your right to leave the salary history field blank, especially if it is not marked as a required field. However, there are some online application systems that will not allow you to “send” the application in without all required fields being completed. I believe employers would be wise to take notice. As an employer, you should already have a salary range in mind for the position. What an applicant was paid before simply shouldn’t matter. What matters now is what you are willing to pay to fill the job, and what an applicant is willing to accept. While the salary offered can vary depending on what the applicants themselves bring to the table, what they made at a previous job should not! The trend to curb or eliminate the question of salary history will likely continue as more states and cities begin enacting their own regulations governing the practice. Ready to Hire in Your Business? Contact Us! Check out our Background Investigation, Business Mentoring, and Security Consulting services. We can Help!